If you are committed to becoming the next lottery winner, chances are that you’ve already researched strategies that could increase the odds of hitting those special numbers. There’s one more thing that you’ll need to master and that’s the thought process. Many lottery winners have already shared their stories. Some of them played special numbers. Some went with a random selection. Some had been playing for years while others got lucky the first time around. As you can see, there’s very little in common when it comes to a strategic approach (if such has been employed at all). So, what is it that makes a lottery winner? Is it a good luck charm? Probably not, especially if you’re not into superstitions. Is it a ritual that people follow when buying their ticket? Most lottery winners don’t believe in such possibilities either. One thing that sets a lottery winner apart is their mindset. A little bit of online research reveals a lot of information about positive thinking, the law of attraction and other mind theories that could have impacted the odds. 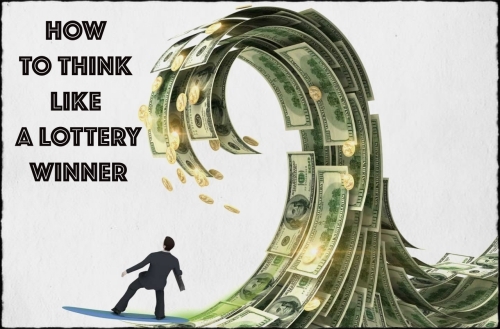 Before moving on to the somewhat obscure theories and personal anecdotes, let’s take a look at what science has to say about the mentality and whether it could impact somebody’s chance to get their hands on the lottery jackpot. An interesting study has established a link between someone’s attitude and their long-term success in life. The experiment continued for a period of 30 years and it suggested that being positive and smiling often could even impact one’s lifespan. People who smile more often and tend to have a positive outlook on life usually outlive grumpy individuals. The theory behind this phenomenon is simple. It’s the so-called “fake it till you make it” approach. Yes, the name doesn’t sound very scientific, but it paints a rather comprehensive picture. According to researchers, stimulating the emotions that you’d like to experience in life is one of the most powerful ways to provoke them. Another theory that’s highly applicable to the lottery winner’s mindset is the law of attraction. According to the law of attraction, you have to regularly visualize what you want to accomplish in life. Imagining yourself as a lottery winner could affect your luck and give you the opportunity that you so passionately desire. The law of attraction also puts emphasis to the use of vision boards and journals for the purpose of giving your dreams palpability and provoking their realization. There are examples of people who have been in dire financial need. These people bought lottery tickets all the time, but to no avail. Eventually, their luck turned around, but a change in mindset was required for the shift to occur. A person has to visualize their dream to change things. For some, the fantasy of winning the lottery itself is quite alluring. Others dream about the lifestyle they’ll obtain after becoming a millionaire. Some don’t really want the millions and the publicity stemming from those. They simply want to get their hands on a life-changing sum that’s not too massive. In order to get the result you’re hoping for, you have to visualize the dream and its specifics. If you keep lottery winning as an abstract phenomenon in your mind, chances are that things aren’t going to happen for you (according to the law of attraction). Being aware of what you want can make a huge difference in your life and the way in which you approach the accomplishment of the goal. A final thing to remember is that you have to be present and you have to buy a ticket. You don’t need to play dozens of numerical combinations every single time. Still, if you don’t have your entry in the respective drawing, all of the visualization in the world isn’t going to cut it. What have we learned so far about the mindset of lottery winners? The first thing is that they’re positive and enthusiastic. The second thing is that they have a clear vision of what they want in their hands. Now, let’s put the theory to the test and get a real-life example from a couple who changed their life via the lottery in the UK. According to Paul and Marie Kibler, positive thinking was the one thing that contributed to their two-million-pound wind. The couple had been going through a rough time. Paul had fractured his skull and Marie lost her brother over the span of 12 months. After going through many hardships, the duo decided to focus on positive thinking and inviting good things in their life. 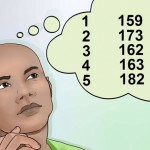 Twelve months after going through personal tragedies, Paul and Marie matched all six numbers in a February 2012 drawing. They were the only people to match the complete set, which entitled them to the entire jackpot. Positive thinking has changed the lives of other people, as well. Neil Trotter is one of them. 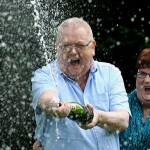 In March 2014, Neil became the biggest EuroMillions winner for the year by scooping the massive sum of 108 million euro. Neil was quite confident about eventually winning the lottery. Actually, he had a premonition for the respective drawing. The car mechanic told his coworkers that by the same time tomorrow, he’d be a millionaire. Little did his colleagues know that Neil was right. Later on, Neil reported that he always knew he would win a big amount. 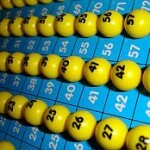 The sum that he claimed from EuroMillions is the fourth largest one to fall in the UK. Cynthia Stafford is our final example of a positive thinker. When she won 112 million dollars from California Mega Millions, Cynthia told media that she had actually willed the money into her possession. Unlike others, Cynthia wasn’t that passionate about playing the lottery every single time. She bought the occasional ticket and she believed what friends told her – many people try but very few win. Eventually, however, Cynthia got it in her mind that she was going to win. She started focusing consciously on winning. When the big event occurred, it didn’t feel random. Cynthia believed that all of her desire, visualization and positive thinking had finally paid off. 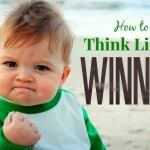 You’ll be the judge of whether positive thinking and optimism can make you a millionaire. One thing is certain, however. A little bit of enthusiasm and a focus on the positive isn’t going to hurt. Who knows, your conviction could eventually make you the next big lottery winner. What is the difference between the lottery and raffle?